There is a clear and present danger to Australia. There are people, who seem not to know what it means to be Australian. They don’t value what we value. They take their ideas from across the seas and seek to transplant them here. They take messages of fear that are spread in other places, and they parrot them here in Australia. These people call themselves things like “Reclaim Australia” or “the United Patriotic Front” but parrot the narrative and slogans of foreign extremists and in today’s rally were seen flying foreign flags. These extremists attack our Australian way of life. Our multiculturalism. Our mateship. Our Australian desire to give all people a fair go. They peddle fear to the masses and make online threats to their targets. 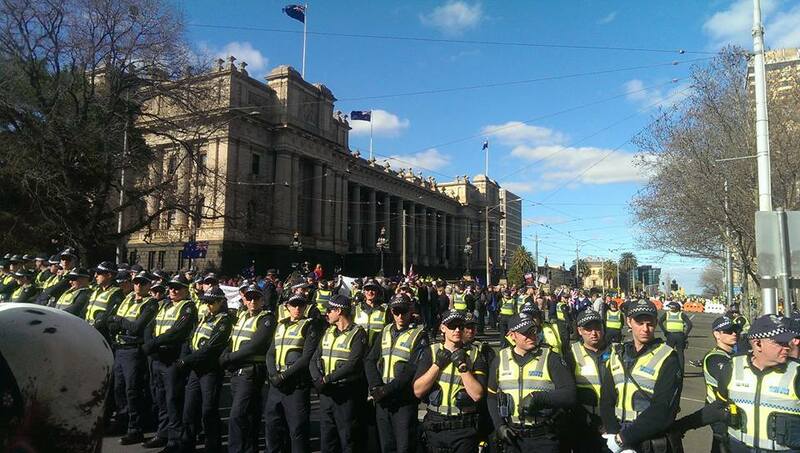 That they call themselves patriots while standing against Australian values is the great irony. 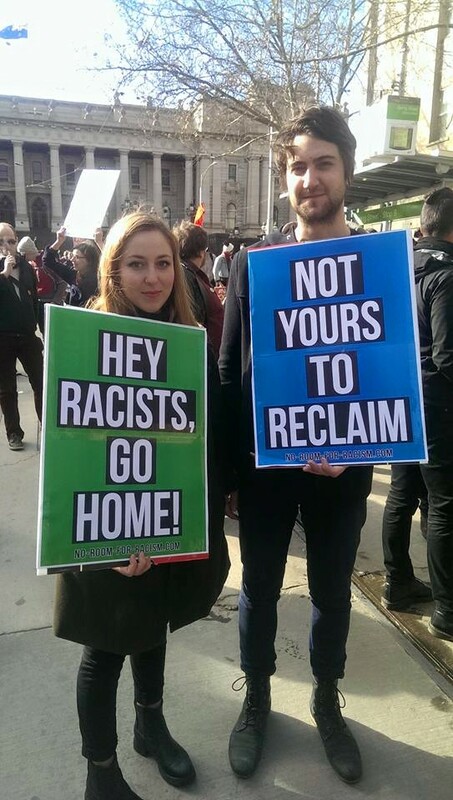 Over 5,000 people turned out for the anti-racism rally today despite threats made by these bigots. 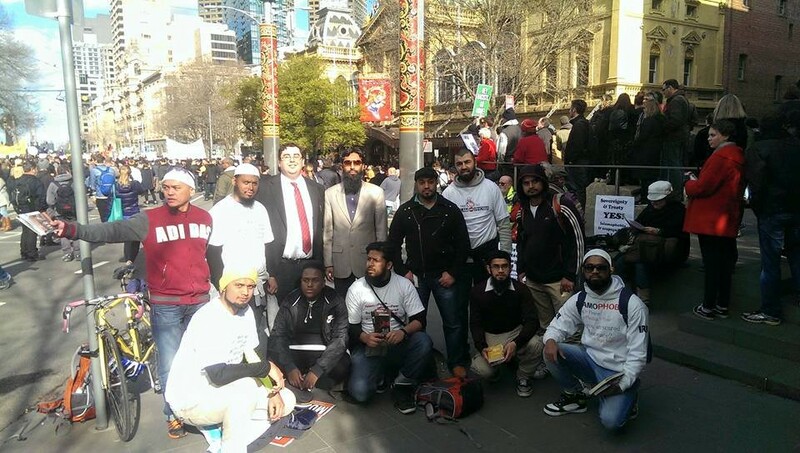 We came together because as Australians, as Victorians, we will not be intimidated into silence. We believe in the rule of law and the ability of the women and men in blue to “uphold the right”. There were many “professional activists” in the anti-racism rally, but also many ordinary Australians from different backgrounds. Many could no longer sit silently by and were attending their first protest. 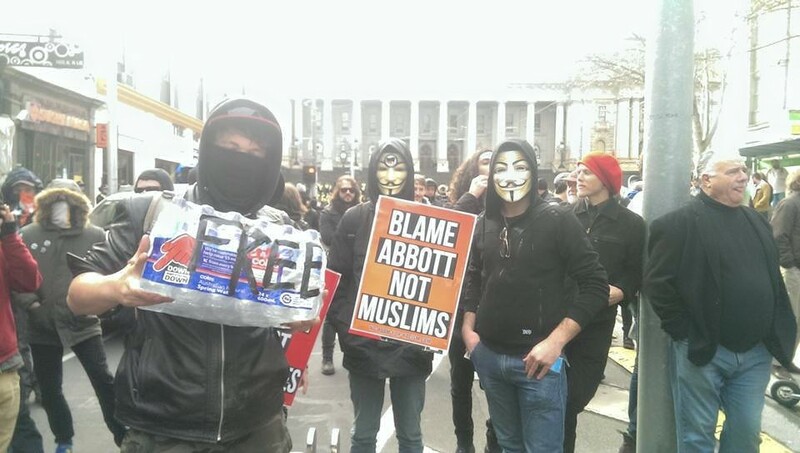 Everyone from Muslim leaders, to anti-Fascist activists and to people in Guy Fawkes masks were there. 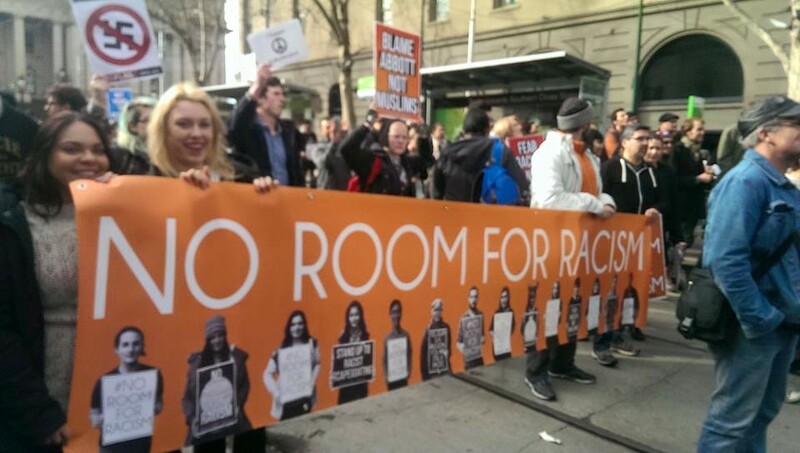 Mostly though, the people who turned out against racism were just every day Australians wanting to reclaim our streets send the message that “Muslims are welcome, racists are not”. 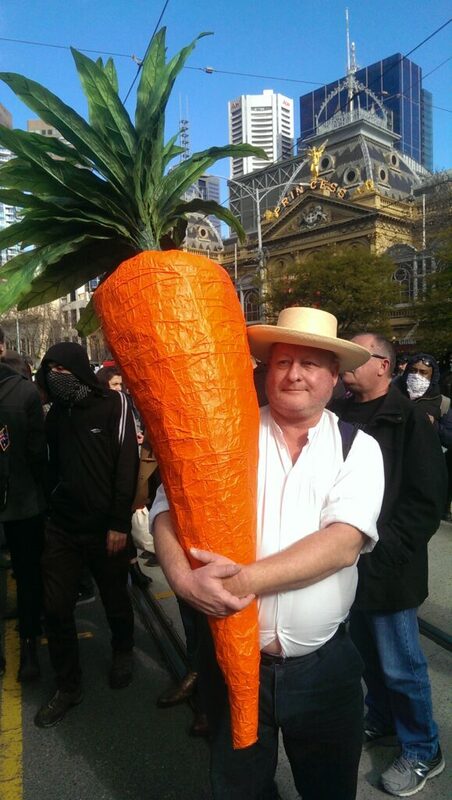 One of them brought along his carrot. Our Victorian Charter of Human Rights and Responsibilities is clear. We all have a right to “Peaceful assembly and freedom of association”, to “taking part in public life”. “Every person has the right to enjoy his or her human rights without discrimination”, every person has a right to life. As Victorians we would not be intimidated into silence. As Australians we would not be intimidated into giving up our rights. Together, today, we stood up for what is right. Even, in the face of extremism. 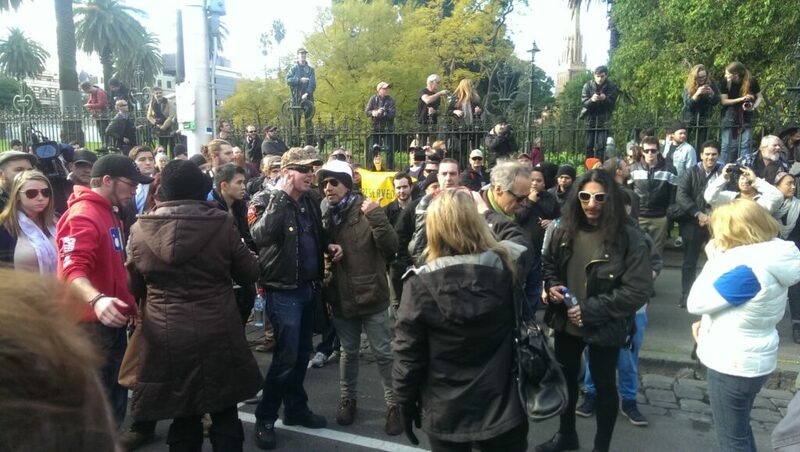 Even as racists tried to walk through the anti-racism protest to the steps of Parliament, and eventually had to be escorted to the Reclaim Australia protest by police. Yes, there were scuffles between racists and anti-racists. 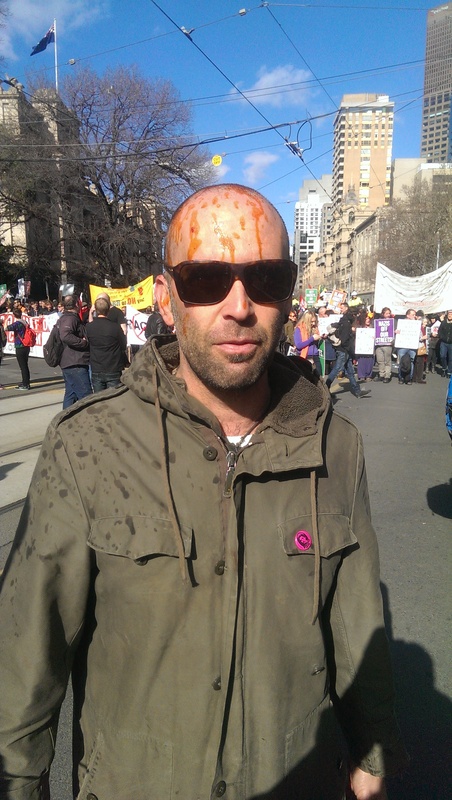 I was narrowly missed by a flying megaphone which smashes to pieces on the street beside me after being lobbed into the middle of the crowd of anti-racists by a Reclaim Australia supporter. I was at the edge of a police action with involves a liberal use of pepper spray early on in the day, and just out of range as tear gas was used later in the day. 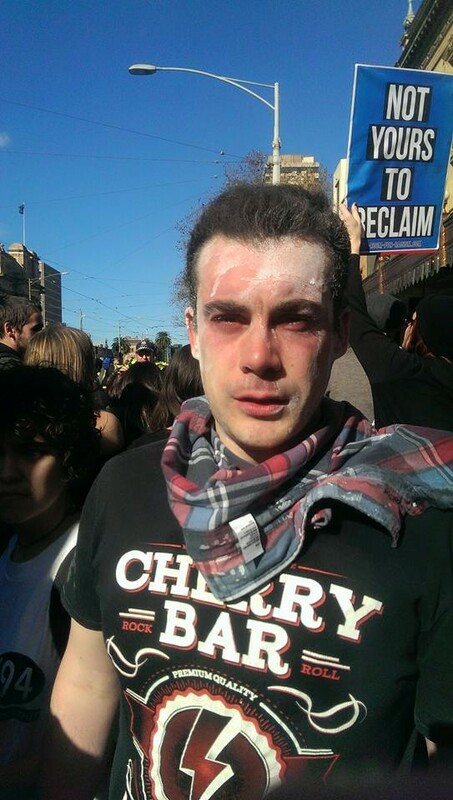 Quite a few anti-racism protesters had to be treated after being covered in pepper spray by police. Some of the mainstream media were not so lucky with the tear gas. In a very different form of anti-racism action earlier this week I attended the Advancing Community Cohesion conference in Sydney. His Excellency Sir Peter Cosgrove opened the conference and spoke of our diversity and inclusivity as a nation. He spoke of our Australian values. The conference discussed the extremists who threaten these values. 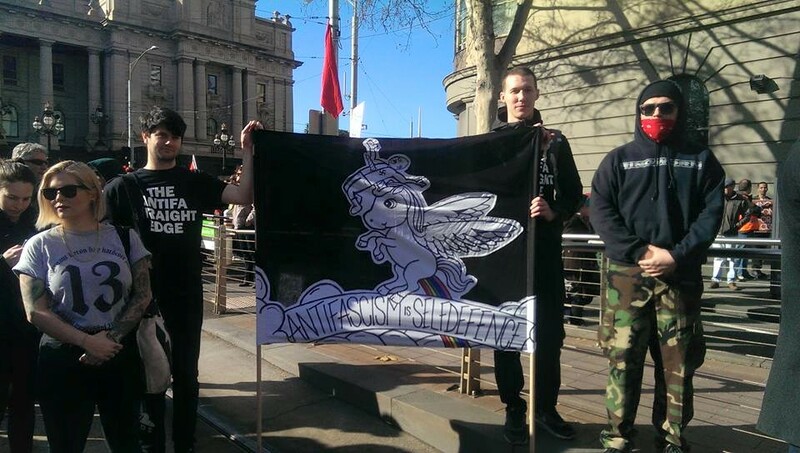 We were told by the police that extremism from the far right here in Australia is the greatest threat we currently face. Academics at the conference spoke about the spread of racism, hate and fear by these extremists. The development of a false narrative of them and us which seeks to divide Australian against Australian was dissected. The Online Hate Prevention Institute (OHPI) is Australia’s only charity dedicated to preventing harm to people as a result of the spread of hate online. We have been monitoring issues like anti-Muslim hate and antisemitism and the online presence of these hate-groups for years. We have seen supposed Victorian Facebook groups inflate their numbers with people from interstate and overseas. The page against the Bendigo Mosque was a classic example, only 3% of its supporters were from Bendigo. Only 17% of their supporters were from elsewhere in Victoria. Today again there were people brought in from interstate, and even so there were only about 110 protesters in total from both Reclaim Australia and the United Patriotic Front. Due to social media’s amplification and echo chamber effect, these people have a false sense that far more people support them than is really the case. Based on this delusion, they push hateful ideas the vast majority of Victorians have absolutely no time for. At OHPI we have see the nature of the core of these haters, the nature of some of their lead organisers. They are a small group of people known for their extremist and racist views. They are on record, over recent decades, attacking Jews, attacking Asians, attacking Africans, attacking in short anyone who is not like them. These are people with open links to neo-Nazi groups overseas such as Golden Dawn. Some of them have in the past paraded around in Nazi uniforms here in Australia. There will always be the small mob of loons. Of far greater concern to us are those ordinary Australians who are being poisoned by their words. Ordinary Australia from across our diverse communities who see each other and not the racists pulling the string at the core. They don’t realise that after the Muslim community, many of them are next on the list of targets for those extremists at the core. These supporters of bigotry need to wake up to the reality around them. We don’t need to “reclaim Australia”, the vast majority of Australians are happy with our multicultural Australia, and our constitutional protection of freedom of religion. 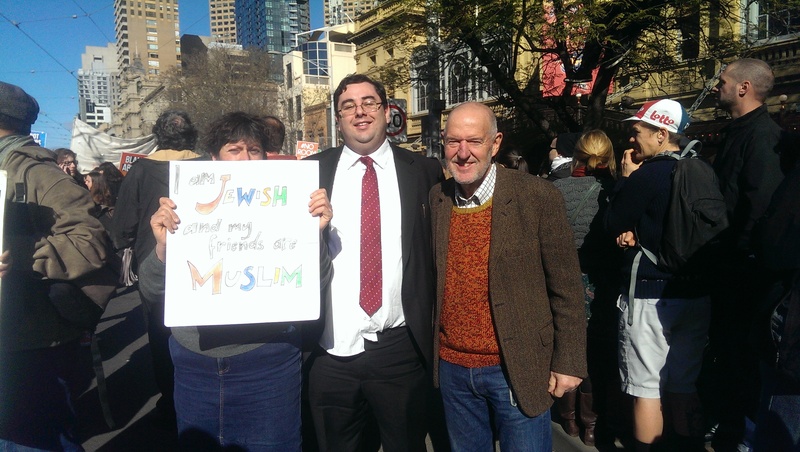 We like our diverse and pluralistic Australia just the way it is. You can also support the work of the Online Hate Prevention Institute, a registered Australian charity combating all forms of online hate, in any of three other ways: (1) By liking our Facebook page, (2) making a donation (tax deductible in Australia), and (3) joining our mailing list.